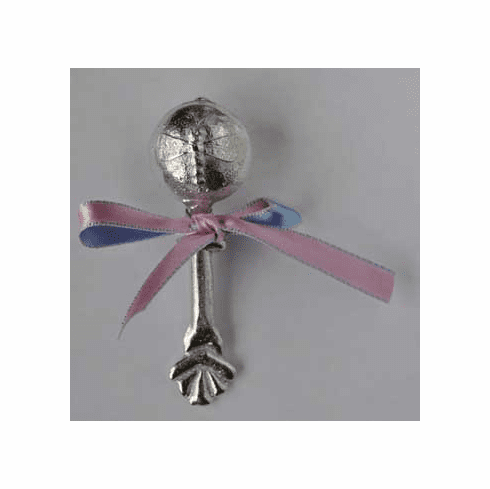 'Fly Dragonfly Fly' Pewter Baby Rattle - Handmade in Oregon by skilled craftspeople from safe lead free pewter. A lasting heirloom you will enjoy being passed on from generation to generation in your family. Pleasing soft, gentle rattle for little ears. Tied with a pink/blue satin ribbon and beautifully gift boxed. Measures 3-3/4" in length.